Three current internationals in the list. 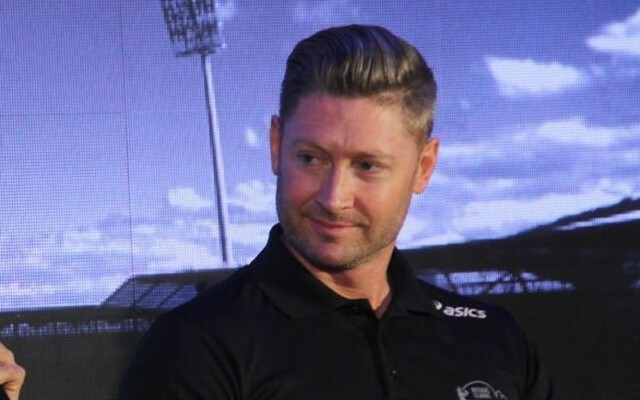 Former Australia skipper Michael Clarke recently revealed his all-time Indian Test playing XI – a task not at all easy given the plethora of world-class talents India have produced over the years. Starting from Ranjitsinhji, KS Duleepsinhji, Vinoo Mankad, MAK Pataudi, Bishen Bedi, E.A.S. Prasanna, BS Chandrasekhar and Srinivas Venkataraghavan, Sunil Gavaskar to modern generation stars such as Sachin Tendulkar, Virender Sehwag, Rahul Dravid, Anil Kumble, Virat Kohli – India have been blessed to produce world class players throughout their glorious cricket history. No doubt then that choosing just 11 players from the lot is a tough job. However, Clarke managed to come up a with a star-studded side that could give any team a run for its money. To make his task easier, Clarke decided to pick players he has seen playing. He started his team by naming legendary duo Sunil Gavaskar and Virender Sehwag as the openers. Gavaskar retired from Tests as India’s leading run-scorer and centurion before Sachin Tendulkar surpassed him. On the other hand, Sehwag is the first Indian to score a triple century in Tests and is the only Indian so far to score two triple tons. At number three and four, Clarke picked Rahul Dravid and Sachin Tendulkar respectively. “Rahul Dravid, the wall, will be at number three. So hard to get out. Number four, the great Sachin Tendulkar, speaks for himself,” said the former Australia batsman. For the number six slot, Clarke sprung a big surprise by naming Rohit Sharma who is one of India’s greatest players in limited-overs cricket but is yet to even cement his place in the Test side. “Rohit is as talented a player as I have seen through my career,” said Clarke before picking the incumbent MS Dhoni as the wicketkeeper-batsman. The legendary batsman went on to name a formidable and balanced bowling lineup, consisting of two spinners and as many pacers. Former India all-rounder and skipper Kapil Dev, and Zaheer Khan were the two pacers to make it to Clarke’s team while Anil Kumble and Harbhajan Singh were picked as the spinners. Sunil Gavaskar, Virender Sehwag, Rahul Dravid, Sachin Tendulkar, Virat Kohli, Rohit Sharma, MS Dhoni, Kapil Dev, Anil Kumble, Harbhajan Singh, Zaheer Khan.